Now that I am older, I’m not so much convinced that someone might be wealthy if they can afford a cleaning person, more so, I am impressed with how smart they are. My husband travels a lot for his job and I struggle to maintain the house, yard, and other maintenance things while he is gone. One of the biggest struggles I have is the yard work. Here in the Pacific Northwest, spring time means rain and just warm enough weather that everything grows with furry. Timing mowing the lawn between spring showers, kids’ scheudles, my work load, etc., gets very stressful. So this year I rearranged my budget to include a lawn service to help me with this task. Every other week, “Ron” comes and mows my lawn, trims around the flower beds, sweeps and cleans up. I cannot express how much this bi-weekly visit has helped my life. I am no longer stressed about finding time and energy from an already limited pool. This is one example of how hiring someone to help you get through your day-to-day activities is really more of a benefit than a luxury. I am sure we can think of many different services we can hire to help us and will ultimately give us more time to do the things we really want to do. 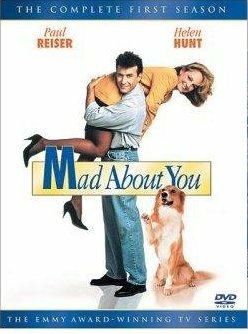 Who remembers the old show, Mad About You, with Paul Reiser and Helen Hunt? When their show was popular in the early ’90’s, they joked in the show about Jamie and Paul hiring a dog walker. I think those days of teasing people of hiring someone else to walk their dogs are long gone. These sorts of services are no longer seen for the pampered and spoiled and wealthy. Instead, they are seen as a necessity. People who hire help are giving themselves the gift of time and energy. This turns into time and energy they can use to do the things they really want to do. If you struggle with not enough time or doing battle with yourself over chores you despise doing, I would encourage considering finding a service to hire to do the job for you. If you are struggling with knowing which service would work best in your lifestyle, please give me a call. We can work together to find some solutions that would be best fit your needs. I would love to hear of other services people hire to help them in their daily lives. Please leave a comment below! Categories: Position Piece, Time-savers | Tags: Cleaning services, Hiring help | Permalink.